We love a good deal, and this is a really, really good deal!! Buy 75 wedding invitations from Smock or Bella Figura and get 25 free! With hundreds of invitation designs to choose from and just as many customization options, there is truly a design to suit every bride and any wedding style. 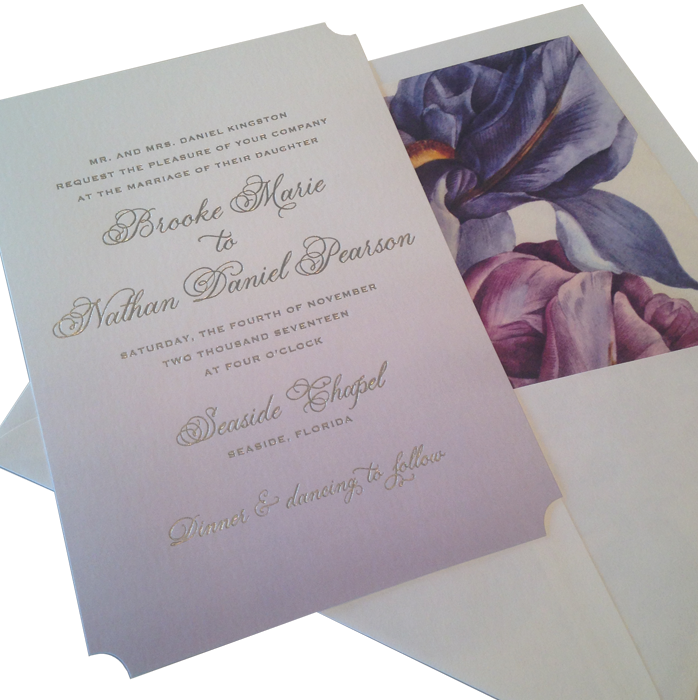 Chose from digital printing, letterpress or foil stamping… or even a combination like the designs shown here. Our friends at Smock and Bella Figura sent us a few recent customizations and these are just a few of my favorites. 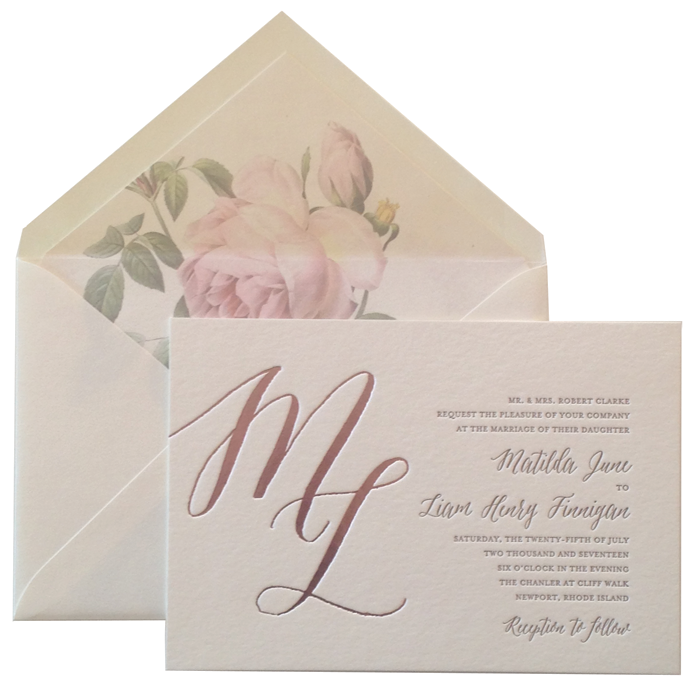 These lovely designs feature exquisite foil stamping and letterpress printing, beautiful calligraphy fonts, ombre detailing, foil edge painting and gorgeous vintage envelope liners. 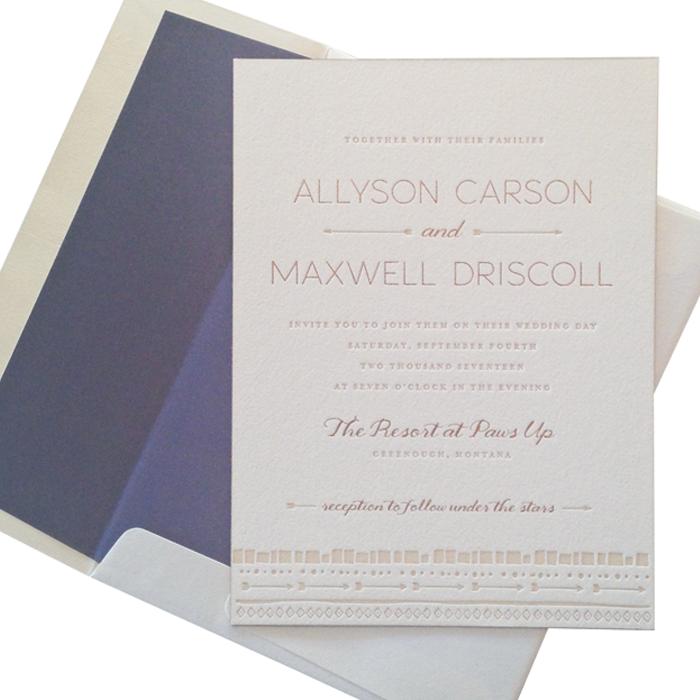 To see the full collection stop by the shop or schedule a wedding invitation consultation! As the saying goes, all good things must come to an end, and this special is no different. To take advantage of this offer, wedding invitation orders must be placed by September 30th.